I was traveling recently with a client. Our travels took us to Ottawa, Ontario during the second week of April. By chance, the Ottawa Senators were opening up their Stanley Cup Playoff series with the Montreal Canadians. The bars, restaurants, and cafés were full with supporters dressed in red, black and white. The downtown chore was alive and vibrant. After dinner, my colleagues and I headed to a local pub to continue a conversation that started over dinner. We walked into the Manx Pub, as soon as we walked in I could sense that the establishment had the feel (and look) of a genuine British pub. As we were conversing over a pint, it dawned on me that there were no tv’s, no massive monitors displaying the play-off game, no loud music piped through the speaker system. As I looked around the room it became evident that everyone in the pub was steeped in engaging conversation. Although the environment was conducive for “having a good chat”, the degree to which people were truly engaged was incredible. No loud people ranting and raving, no grandstanding so that people at adjacent tables could hear what was being said. Nobody monopolizing the conversation. I simply can’t recall walking into such a comfortable environment. It then dawned on me that not a single patron was scrolling through their smart phones or tablets. Patrons were listening intently as they engaged back and forth in what appeared to be fascinating conversation. In fact, no distractions whatsoever. It’s interesting to note that the patrons were quite diverse, a somewhat eclectic group of people could be found in the Manx pub on this particular evening. My experience and observations in the pub reinforce that the (almost) lost art of face to face communication can be of significant value when applied in personal as well as professional settings. 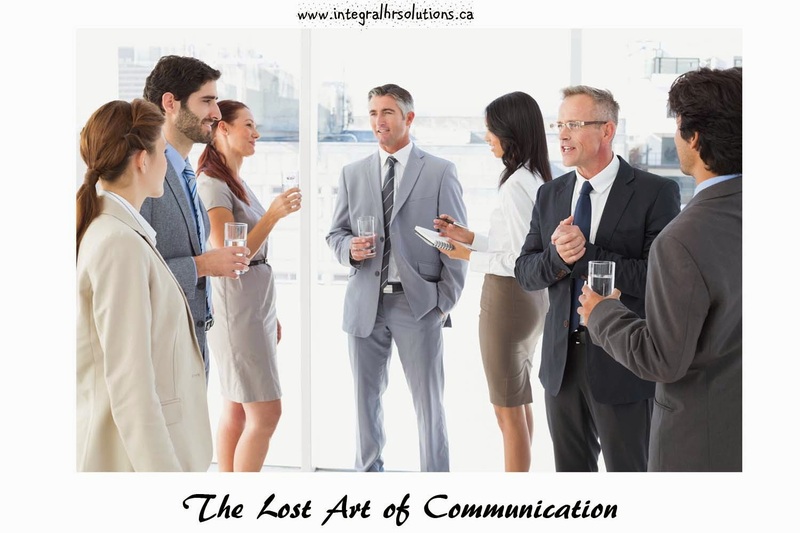 A number of years ago I stumbled upon a post that made reference to the “7 C’s” of Communication. I take this opportunity to share the 7 C’s of Communication. When writing or speaking to someone, be clear about your goal or message. What is your purpose in communicating with this person? If you're not sure, then your audience won't be sure either. When you're concise in your communication, you stick to the point and keep it brief. Your audience doesn't want to read (or hear) six sentences when you could communicate your message in three. When your message is concrete, then your audience has a clear picture of what you're telling them. There are details and vivid facts, and there's a laser-like focus. When your communication is correct, it fits your audience. Ensure that the technical terms you use fit your audience's level of education or knowledge. Courteous communication is friendly, open, and honest. There are no hidden insults or passive-aggressive tones. You keep the viewpoint of your audience in mind, and you're empathetic to their needs. The better we communicate, the more credibility we'll have with our clients, our boss, and our colleagues. Use the 7 Cs of Communication as a checklist for all of your communication. By doing this, you'll stay clear, concise, concrete, correct, coherent, complete, and courteous on a consistent basis. Although I embrace technology, consideration should be given to walking across the office and conversing with colleagues when it’s appropriate. All too often people hide behind emails are often sent with countless people copied (that don’t need to be).